Great job with the layers! Thanks for playing with us at Freshly Made Sketches! Great job with the sketch! I love the glimmer and colors. Thanks for sharing with us this week at Freshly Made Sketches! Very pretty Betty! 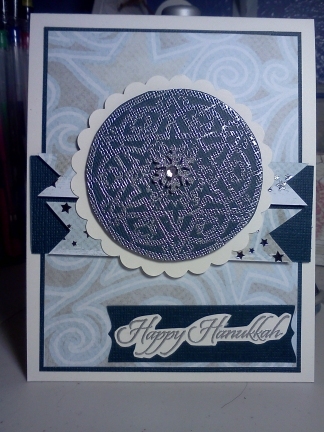 What a great Hanukkah card! Thanks for joining us this week at Freshly Made Sketches!